The Supaflu Product Safety Listings (right column) mean that representative samples of the Supaflu Poured Chimney Lining material have been evaluated and determined that they meet established requirements for safety and/or performance. These requirements are based primarily on Underwriter’s Laboratories published Standards for Safety. Supaflu is in compliance with major building codes currently applicable in the US and Canada. 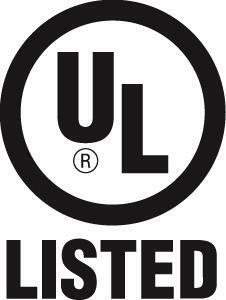 ULC denotes Canadian Standard. Supaflu meets the requirements of Underwriter's Laboratories Standard UL1777 for Masonry Chimneys and Canadian ULC Standards ULC S635-M90 for Existing Masonry of Factory Built Chimneys and Vents, and ULC S640-M91 for Lining Systems for New Masonry Chimneys. 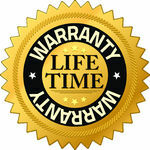 Your new chimney liner is backed by our Limited Lifetime Warranty. 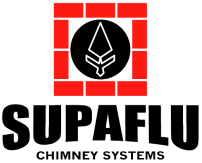 Supaflu is the first cast-in-place chimney lining system to back its products within your home. Even if you sell your home, Supaflu will honor the warranty for a period of ten (10) years from the date of installation, so that even the buyer of your home will benefit from any years remaining on the warranty at the time you sell your home.